If you’re considering straightening your teeth with Invisalign in Toronto, City Orthodontics is here to help! Our practice offers both Invisalign and Invisalign Teen to patients looking to improve their smile without the look and feel of traditional braces. 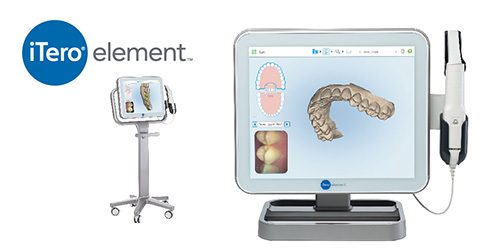 Before receiving your Invisalign aligners however, we must first take a 3D digital scan of your teeth using a magical tool called the iTero Scanner. The iTero Scanner is essentially a wand that allows us to take 3D images of your teeth and bite in real time. Thanks to this advanced technology, we no longer need to use traditional molds to take impressions of your teeth. Using the iTero Scanner, we’re able to create custom Invisalign aligners that are built specifically with your bite in mind. After your aligners are created, your teeth will gradually begin to shift into their desired position. Every two weeks or so, you will receive a new set of aligners until your smile is beautiful and straight! If you have any additional questions about iTero or Invisalign in Toronto, please give us a call at 416-222-3223 and we would be happy to assist you. We hope to see you in our office soon and look forward to making you a part of our City Orthodontics family!